Bodhidharma, the first Zen ancestor, called Zen “a direct transmission outside the scriptures with no reliance on words or letters.” Residential training, with its emphasis on lived experience rather than theoretical knowledge, is a uniquely powerful way to study and practice Zen. It offers time and space for you to delve into your deepest questions about life and death, and a refuge from the consumerism, distraction and often self-centered ambition of contemporary culture. Training is guided by the abbot, Shugen Roshi, and head-priest Hojin Sensei, both longtime monastics with decades of experience between them. If you have a serious interest in Zen training, and the flexibility to step out of your ordinary life for a period of a week, a month, or longer, then residency may be for you. One of the most important and helpful things you can do before you apply is clarify your motivation. Why are you interested in Zen training? Touching in with your aspiration and knowing what brings you to the Monastery will serve you well throughout your residency. Our commitment to making the Monastery an inclusive place for everyone who wishes to study Buddhadharma includes acknowledging the history and enduring karma of structural oppression in our country, and the inequities that persist today. If you are a woman, a person of color, LGBTQ* or economically disadvantaged, we welcome and especially encourage you to apply. Different types of financial assistance are available. In order to get as clear a sense as possible about what you are stepping into, please spend time with the information on our website, the sections on the One-Month Residency, or Year-Long Intensive, look through our Residency Photo Album, and listen to some of the teachings. Then contact the Training Office at (845) 688-2228 or registrar@mro.org with any questions and to request a residency brochure and application. You might start reading the residency application and wonder, Am I qualified for this? If so, we want you to ask us. We know you might need more information, or have a special situation, or just need a boost of confidence. So, reach out. We really do want to hear from you if you have questions. If you’re interested in possibly staying for longer than one month (but less than a year) we usually start with a single month to make sure residency is a good match. However, please be sure to mention your interest when filling out the one-month residency application. 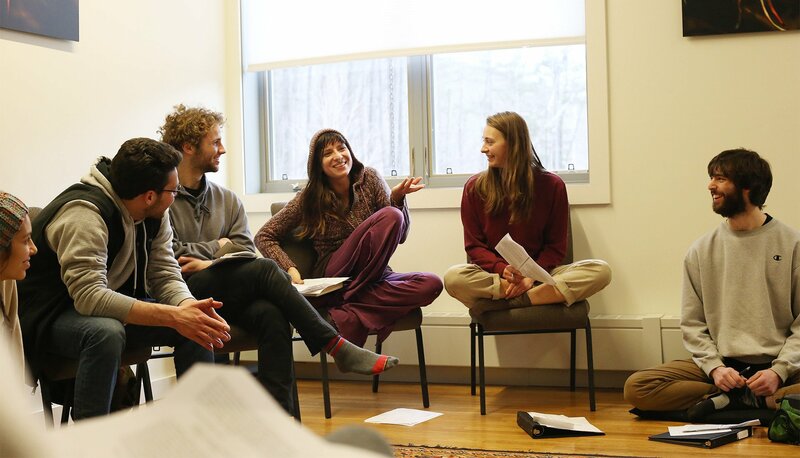 If you are interested in residential training and are involved in work, school or other obligations in the New York City area, you might consider a period of residency at Zen Center of New York City: Fire Lotus Temple, the MRO’s city branch.